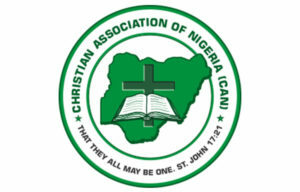 Just as the 2019 general election draws near, Nigerian Christian body, the Christian Association of Nigeria has warned Christendom as well as Nigerians at large to desist from promoting political violence during the exercise. Giving the caution on Wednesday, according to News Agency of Nigeria, was the Chairman of the body in Keffi Local Government Area of Nasarawa State, Danladi Ndohon during the association’s feast in Keffi. Advising that the elections should not be “a do-or-die affair,” the cleric spoke against vote-buying and selling. “Vote-buying and selling of permanent voter cards are in total violation of the constitution and those involved are not helping the country,” he stated. Ndohon further called for prayers from all and sundry to ensure the country experiences a violence-free electoral process. The CAN Chairman therefore appealed to them to be law abiding, respect constituted authorities and tolerate one another regardless of their political attachments.